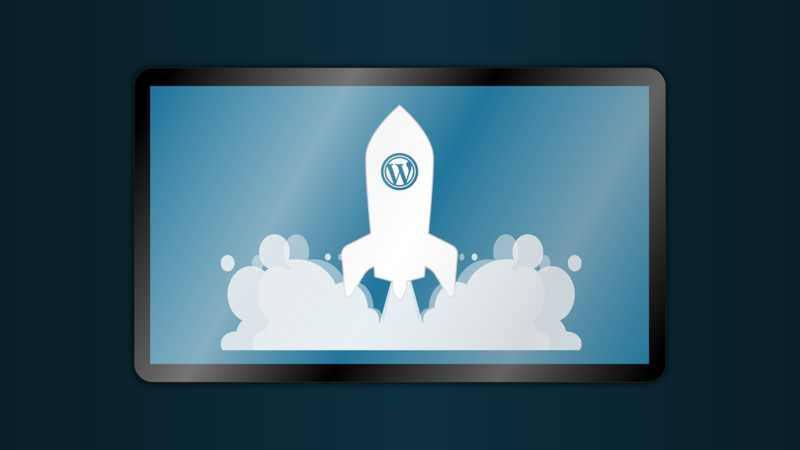 WordPress has changed the way websites are created and shown to the world. It has allowed virtually anyone to have a website of their own, without having to worry too much about coding. WordPress is as flexible as they come; unique themes, objects, possibilities, and anything in between. Whether you’re a blogger or an entrepreneur, WordPress can be a great stepping stone in your path to a fully-independent website. But this is not a necessity; there are plenty of websites that are huge and still use WordPress. For example, interactive WordPress themes are slowly becoming a thing! Overall, there’s no other degree of freedom to create than what you find on WordPress. Thanks to this, it is home to a plethora of varying companies and businesses – all focused on their own thing. Even digital marketing works great with WordPress! 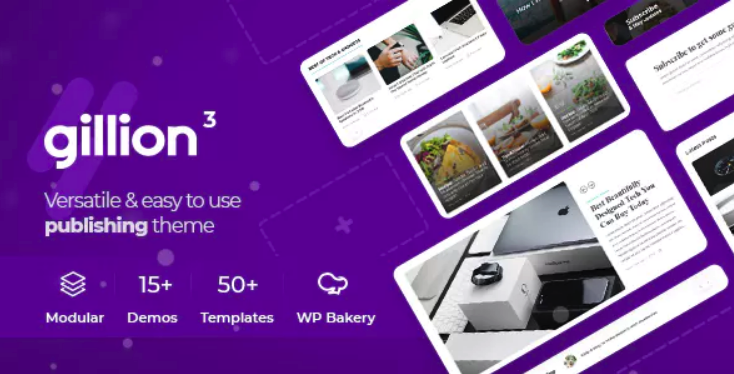 Now, let’s take a look at interactive WordPress themes suggested by digital marketing experts like Mike you should get to improve the interactiveness of your website! 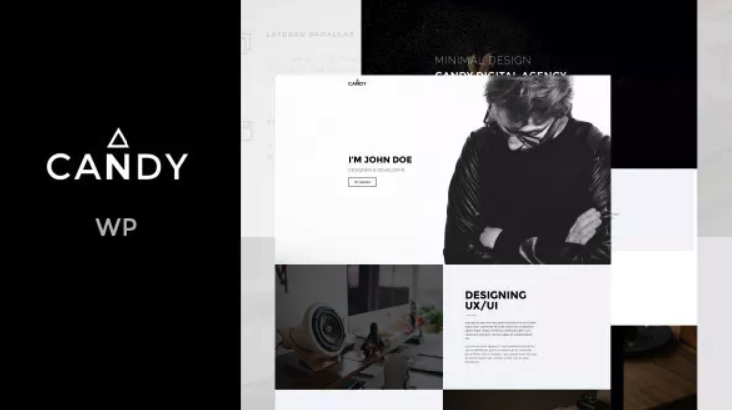 Uncode is one of the most gorgeous WordPress themes out there. The visuals are stunning. But looks aren’t everything, and an interactive WordPress theme must be.. Well, interactive. Fortunately, Uncode is very talented in this department. The code behind this theme is polished, and there are no hiccups. It is insanely user-friendly and requires next to no previous WordPress theme knowledge. It is a responsive, multipurpose theme. No need for you to write the code yourself; everything is as simple as pie. Finally, we must mention speed. Uncode is quick – very quick. Hosting a website that uses this theme is a breeze as performance levels are top-notch. 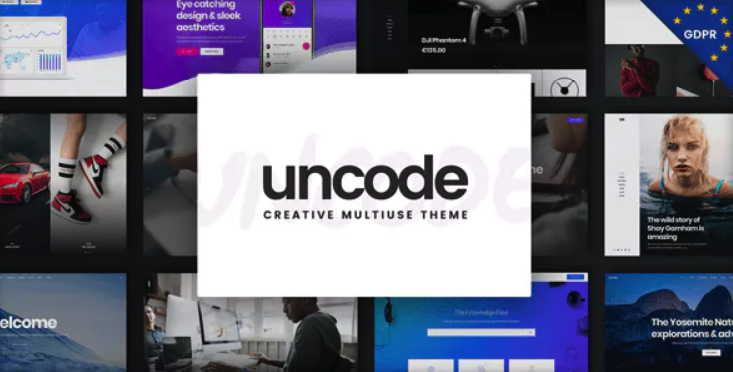 If you’re looking for a simple, feature-packed, efficient WordPress theme – get Uncode! A theme that gives you ‘real-time’ editing of how your website looks like is a theme worth having. 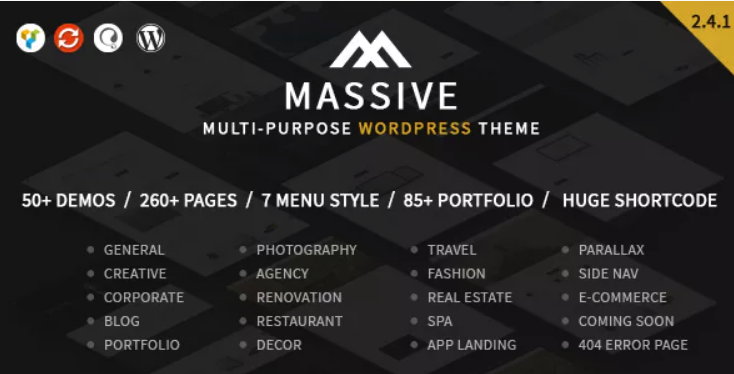 Massive Dynamic is one of the leading WordPress themes in several categories; most notably intuitiveness, flexibility, and amount of control. 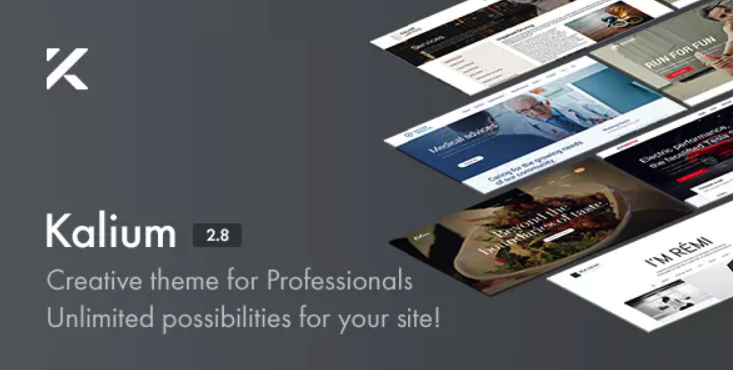 The Live Website Builder component of the theme allows you full control over every aspect of the site. SEO is also a big plus with this theme. Massive Dynamic has a clean code and vast SEO support. Furthermore, Massive Dynamic has something called ‘Progressive Image Loading Technology’ meaning all images and graphics on the site get loaded smooth and are soft on the eyes. Perfect for those who want to customize everything! Creativity can sometimes be a cure. Whether you’re a photographer, visual artist, musician – you name it – Pofo is the only choice. This theme was designed specifically for creative people; those looking to express themselves using whatever means they want. The main purpose of Pofo is showing content. It features retina quality graphics that are accompanied with loads of free shortcodes to design the website exactly as you envision it. Other features include a drag&drop builder, live customizer, hundreds of templates and elements, parallax effect, auto play video, and SEO optimization. Flawless! 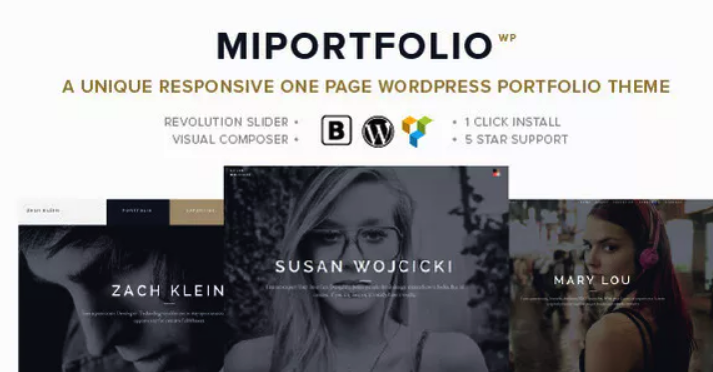 Miportfolio is another one of the interactive WordPress themes found on this list. 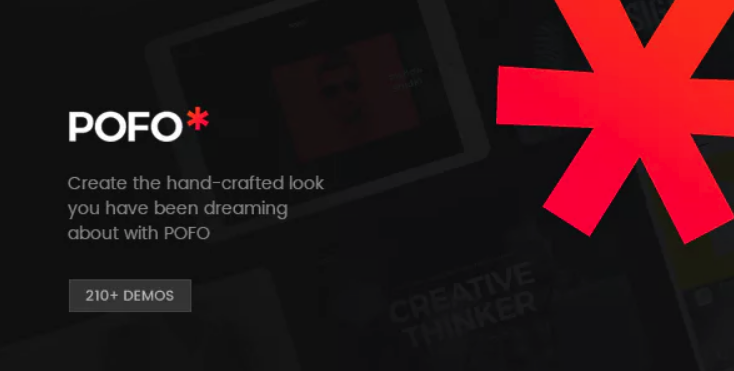 Similarly to Pofo, this theme is oriented towards creative people (writers, designers, photographers, musicians, developers, agencies, and many others). Every website needs to be pretty to the eye and soothing enough to keep a reader/visitor interested. Miportfolio allows you to do just that. It comes with a vast array of features such as the flex slider, carousel slider, draggable slider (yeah it comes with plenty of sliders), 3D galleries, html & video backgrounds, and others. Writers rejoice! A theme that lets you write articles, blog posts, or magazines, and then publish them with little effort is exactly what you might need. Writers spend a lot of time writing, and if there’s a complicated process involved in releasing their creations to the world – it can be demotivating. That’s why you should use Gillion; filled with blog style choices, infinite colors, and flexible layout. Oh, and it has great plugin support as well! And if you do encounter any bugs or issues – just contact the dedicated customer support team, and they’ll patch you right up! Sometimes, you want a website to have dual functionalities. And if the WordPress theme you’re using isn’t interactive enough, you might find this tough to do. Luckily, Candy is an amazing addition to your website! No matter what you’re interested in, chances are, Candy can provide you with that. There are a couple of extra packages you can get (that cost money) which further enhance your website building experience, but these aren’t necessary unless you want to go all out. And one unique characteristic of Candy – you get free PSD files included in the theme! Everyone needs proper SEO on their WordPress websites. After all, exposure is incredibly important, especially when you’re starting out. See, the usual steps you’d need to undertake to make your website SEO optimized take a long time. SEO Wp shortens that time by providing you with results coming from various SEO tests, meaning you can use that info to perfect the SEO on your site! 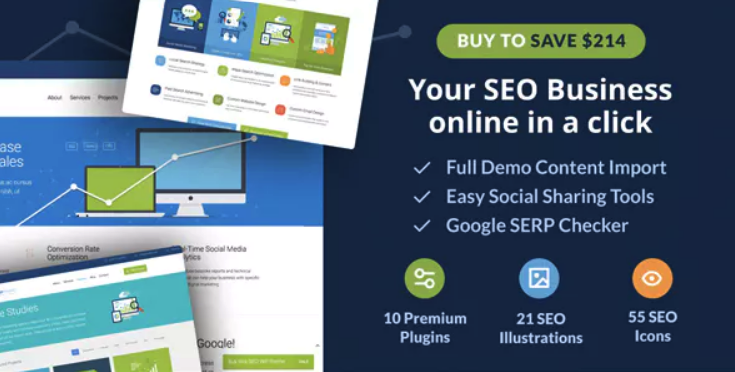 SEO Wp comes with more than 200 plugins and even with those – it’s lightning fast. If you don’t have the time to design content yourself, just use the ones that come with this theme. A shortcut to success! And finally, we’ve got Kalium. Kalium is an award-winning theme! Yup. It was featured (and awarded) in the online web design gallery AWWWARDS. This online gallery is reputable and well-respected, so such a feature is a big deal. You can use it to create blogs, agency showcases, portfolios, whatever comes to mind. And you won’t have to spend time researching how to do things because it comes with pre-designed layouts. Also comes with a drag&drop editor! On top of that, Kalium features revolution and layer sliders. Finally, Kalium is the industry leader because it receives constant updates and bug fixes. True dedication from the team that designed it.